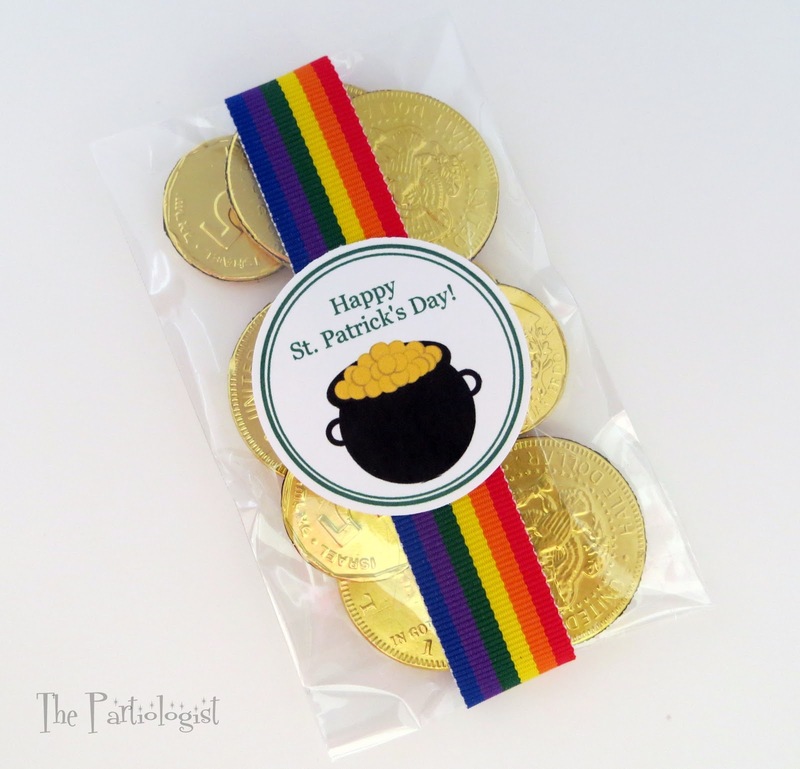 February 22, 2015 By This post may contain affiliate links. 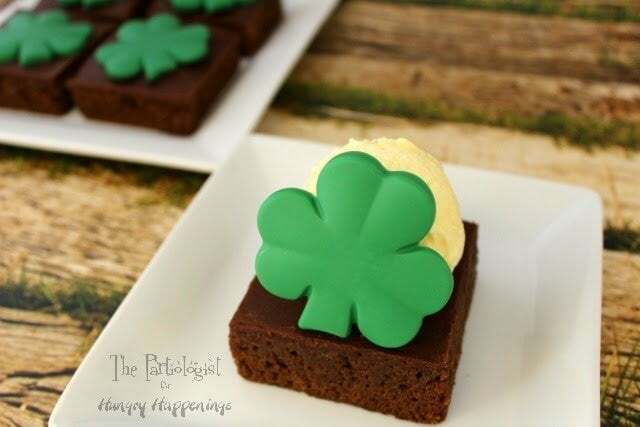 So many ways to serve a brownie… but this Shamrock Topped Brownies and Ice Cream is the best!! Hi – It’s Kim, The Partiologist! 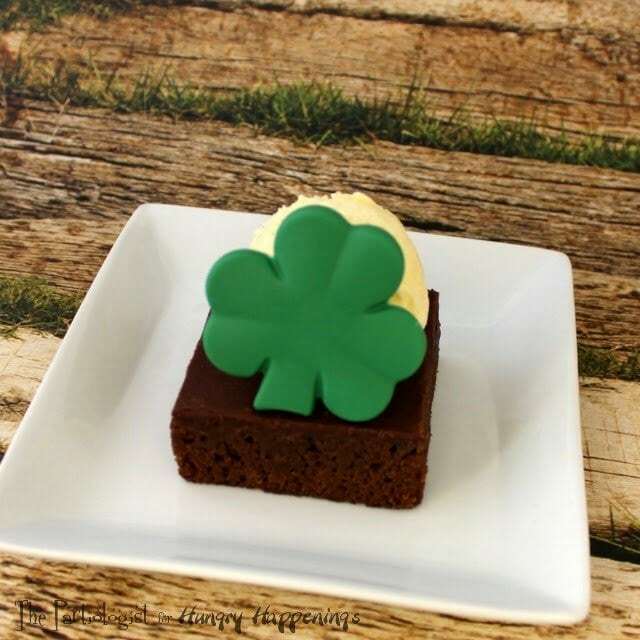 This past weekend my husband and I went out for dinner, I sat and watched as the couple next to our table shared this delicious looking brownie topped with ice cream. I don’t know how it works for them, but when we share dessert, it means he gets a couple of bites and I get the rest. That’s just the way it is. Only this time, it isn’t. 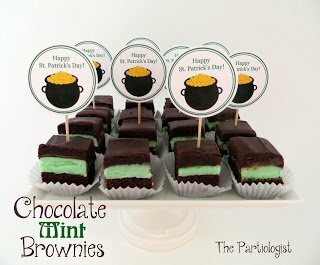 Because this time, there are plenty of brownies and shamrocks and ice cream to let him have his own. I’m telling you, these are so simple and cute, you’ll be kissed even if you’re NOT Irish! And here’s a plus…easy to serve because everything can be made ahead of time. Even the scoops of ice cream. Mix up your favorite batch of brownies, I love the Betty Crocker Fudge Brownie Mix. After they have cooled, make the ganache. Before the ganache has thickened, pour over the top making a smooth finish. Gently shake pan until it is even. 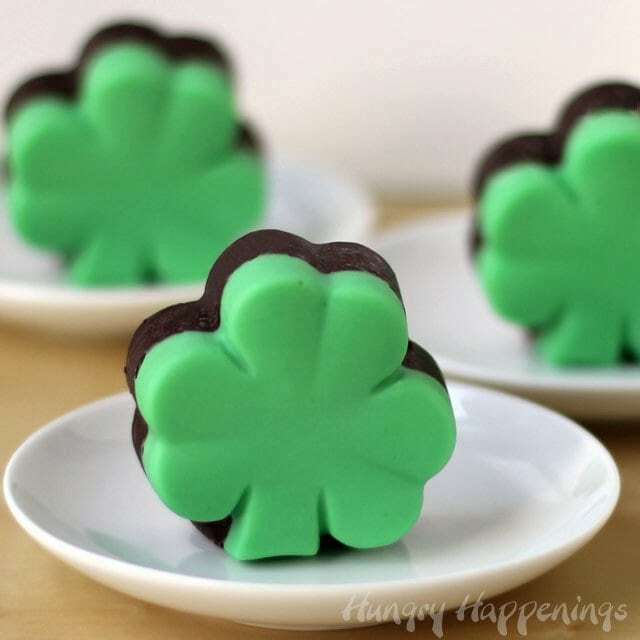 This Wilton Shamrock pan can be used for so many things, like making perfect chocolate shaped shamrocks. 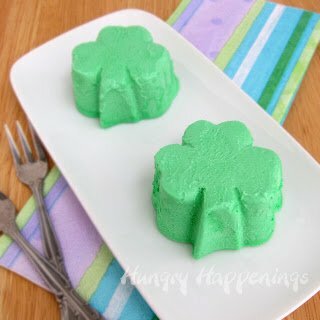 Melt the green candy melts and pour into the mold, until the bottom is covered. Freeze until firm and gently pull the sides away. 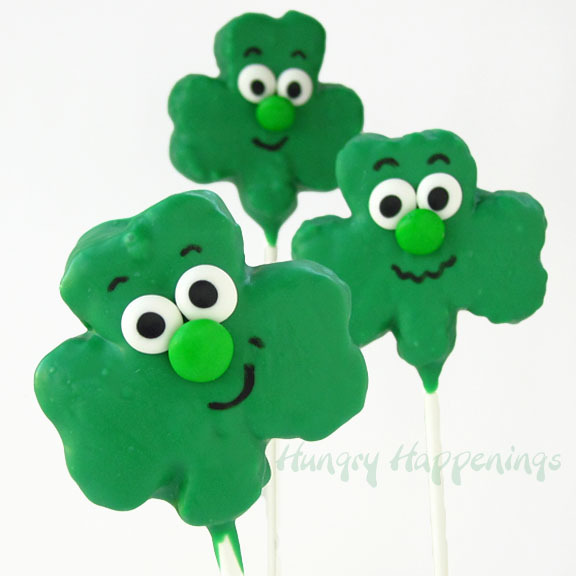 The green shamrock will pop right out. Now this part you’re going to love, it will save you so much time when serving ice cream at a party. I always scoop out my ice cream ahead of time, cover and freeze on a plate. 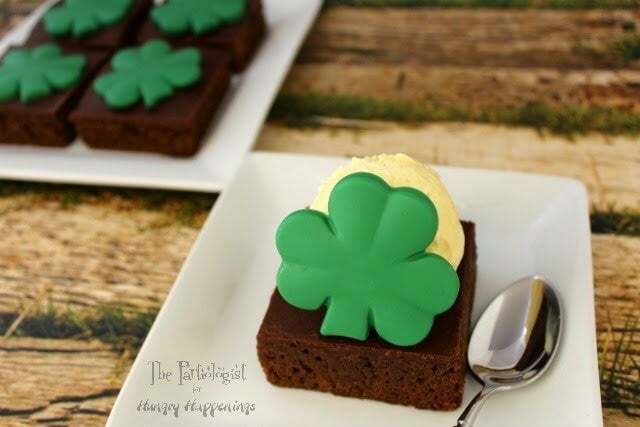 When it comes times to serving, I place them all in a bowl and pass around the table, or in this case, I just added it to the top of the brownie with the shamrock propped up on it’s side. No more having that mess of trying to serve ice cream! I call that LUCK! 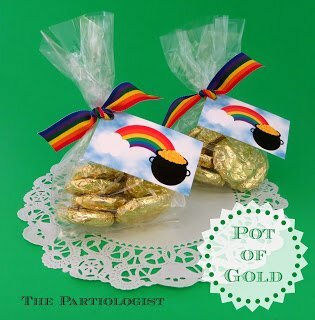 This is such a cute idea and it looks delicious! 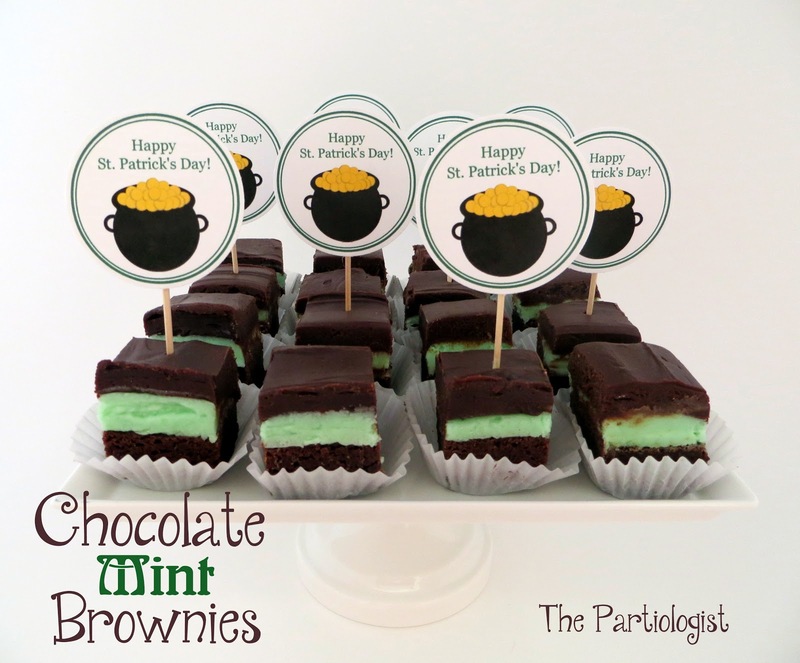 Brownies and ice cream … yes please! 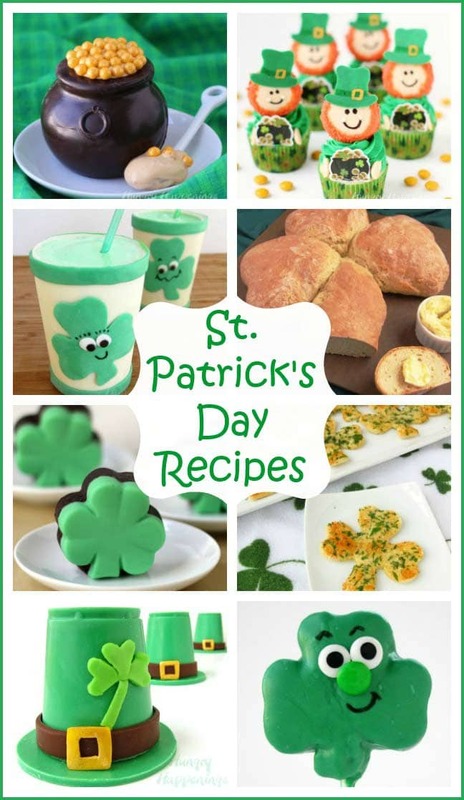 Very cute with the shamrock and I love the hint about scooping the ice cream ahead of time.